The most famous deed of this princess was her words to her younger brother Liu Ziye. Chu Yu awoke in the princess’s body and realized that she had obtained a male harem of three thousand; should she take just one to drink, or keep all of them? Rating: 2, if I'm being nice. Warning: rant ahead. Also, SPOILERS AHOY!!! You know how transmigration stories always try to display the protagonist in a... more>> better light by portraying the original inhabitant of the body as a poorer version? As if it's impossible to make the current protagonist likable without trashing the character of the original. This normally isn't a huge deal, as it's basically a cornerstone of CN transmigration LNs, and goodness forbid we have more than one likable/strong female. But. With the expectations the premise inspired... It was doubly disappointing in this story. You see, one of the main reasons, if not The Reason, the original inhabitant of the body was so very, extremely, unrepentantly, unforgivably unlikable...? The reverse harem she had. I mean, the story also mentions her selfish and ruthless nature (which is interestingly yet eye-rollingly connected with her s*xual immorality), but the new inhabitant of the body never misses an opportunity to decry and scorn the original. Such as when the protag despairs that the body she's inhabiting belonged to a woman denounced by history, with her name sullied forever to never be used again, because she had the gall, as a woman, to be above men. How disgusting, right? Unforgivable. She definitely deserved to have her life cut short and replaced by a 'better', more 'virtuous', more 'pure' version. one of the 'understandable' and 'excusable' reasons some men in her harem plan a rebellion against her is because their pride is injured, being a male concubine. Which. It's obviously that it was a woman who owned the harem that was the problem, not that they were concubines. Protag even goes as far as to release them to prove her 'virtue/goodness/womanly worth'. And did I mention how any sign of a woman having a s*xual drive being a terrible, horrible, no-good thing is? And how often this is reinforced not only by the antiquated opinions of other characters, but by the protagonist herself? And how the protag has gross reactions to things like a man putting on makeup like feeling grossed out herself and wondering what's wrong with the men who do it? The only redeemable part about this fic was that she did have scenes where she used her head and made clever decisions (though they were notably unrelated to romance/gender which is a good 90% of this story.) Also, the translator (who also does Stunning Edge) did an A+ job of making the story easy to read and understand. So kudos to her. The low score for this novel makes me a little sad. The synopsis of this novel is misleading. If you came here for a bold, flirty, progressive female lead, run away. This novel is not about gender equality. This novel is about love, power, and sacrifice. This is a touching novel about love and sacrifice. What will you sacrifice for love or power? Are you willing to sacrifice either for the other? Don't join the party with the wrong idea. A developed male lead who suits the protagonist well, and seems like a real person unlike all those other 'Benwangs' in Mary Sue stories who exist to be stepped on by the Female Lead. A realistic love story - no exaggerated love confessions and love at first sight here. Or the dreaded, "This girl is interesting I, Benwang, shall watch over her but I'm really in love with her at first sight despite my denials." After reading all the trials the main couple had to go through and sacrifices they had to make, once you reach the ending, you will feel satisfied. You are looking for a progressive story. You are looking for a progressive or perfect female lead. The female lead was not made to be entirely liked by the reader. She is flawed, she is prejudiced, she is human. You may not love her, but you will sympathise with her. You want an 'artistic' novel about the meaning of life etc. The novel does have insights and themes, but no major existential ones. I've finished reading the entire story to the end in Chinese. 22/3/17 P.S. There's a drama for this novel now. It has one of the most intricate plots and almost every character is fleshed out, though the author doesn't spend much time on less significant characters who were equally intriguing and can leave you wondering what happened with them. Even the author admits this, but through the MC's POV, where the MC neglects these characters. Also, although this is a reverse harem story, the MC will disappoint and the whole premise of the Princess she took over is poured down the drain. If you read this expecting something progressive and flirtatious, don't. However I do recommend reading this for the exquisite plot writing. Every chapter is a mystery that leaves you wanting for more and every time you think you understand what's going on as a reader, the result will stun you, literally making you experience getting played with by the male protagonist as much as the MC. All the side characters will earn their place and present a much much bigger picture like a jigsaw and have their own attractive points. However, the MC's character development is disappointing. If you're looking for an MC who would change for the better, this one won't. While it looks like she matured through adversity, her base development did not change at all from how the story started and her behavior can be frustrating and hypocritical. But she can be considered a very average and relatable character, being so normal in her reactions, to a reader I suppose. Just don't get your hopes up for liking the MC, like I did. You will like the rest of the cast though. How funny is it that I've been declaring the same things to my guy friends for so many years? "Why can guys get a harem and girls can't?!" So it's pretty funny how the words I spoke for a long time actually was made into a novel xD fuhahaha I love it! I think Kimchi759 did a great job of summarizing the biggest issues with this novel as a female reader, so I don't intend to start a rant- I just want to emphasize a couple of points I find the most off-putting. To be honest, I knew this novel was going to be on some bullsh*t when I read the synopsis. Why? Because when the new emperor responds favorably to his sister's desire for equality between them, the author describes him as "ridiculously [thinking] it made sense". Right there you can... more>> see that the author doesn't think the original body was within her right to not be constrained by one partner just like men are. So I honestly went into this novel with fairly low expectations. Yet, somehow, I was still disappointed when reading. but, with the way she basically describes the original body as a heathen beast deserving of death, you'd think the MC was the one from ancient times instead. Reading the first few chapters, wow.. The author really has a great imagination. To think that they make a female royalty having harem. So I jokingly do a search using google and found the wikipedia article about the real life princess chuyu. Damn. Never expected she's a real person. Anyway, the release frequency is decent on 2 chapters/week, the story is fluently translated into English. This novel is very interesting. Just a few chapters, I already fell in love with it. Basically, the MC transmigrated into the body of an Imperial Princess. However, that particular princess is the one and only Liu Chuyu. The princess who had (or has) her own Harem filled with Bishounens. It was very interesting since the MC is both cunning and intelligent. She may have her 'down times' or 'weaknesses', but she's the type to shoulder it in and barge through it. I just hope that she would resume her (past self's) activities,... more>> and make this Novel a True Harem Novel. I dont get why the rating of this novel is lower than I expected. *Update: I'm at ch.220 and this is surprisingly one of the best novels I've read spanning Eng, Jap and a few other CN novels. I'll edit my review after I finish it. It's so good it deserves translation. I hope it gets translated completely (lol I'm willing to translate it myself if it doesn't, cause it's that good). I've never been this addicted to chinese fiction nor have I cried when reading them, until now. Seeing the mixed reviews actually made me interested so I decided to read the raws... more>> and I think I understand why the reveiws are so polarised. The real novel is truly a hidden gem. The reason why the reverse harem is so looked down upon in the novel is because it's still set in ancient times and the storyline has very little to do with the harem, hence there won't be any development towards acceptance of one female having many male concubines because it's so far removed from the core of the story. Given the premise it seems to be a slow burn and the ending seems precarious but worthwhile to read. The characters are 3-dimensional, realistic people (except for their otherworldly good looks) each conflicted with motives of their own. MC is not OP and grows into herself along the way. ML may not be the most likable character but he's set up to be who he is - creating a most peculiar relationship seemingly with a world's rift between them, yet connects and creeps up on them in tiny, inconspicuous, suppressed but undeniable steps. ML is not a good person. I'd go as far as to say he's the hidden antagonist. He's ruthless, but his ruthlessness is due to a totalitarian regard for rationale over morality. He believes the end goal is justifiable through any means necessary. For this, he won't be everyone's cup of tea. However, I for one feel this adds to the complexity of his character. Then again, I'm also a sucker imperfect, morally grey characters and romances between characters standing on completely different pages. 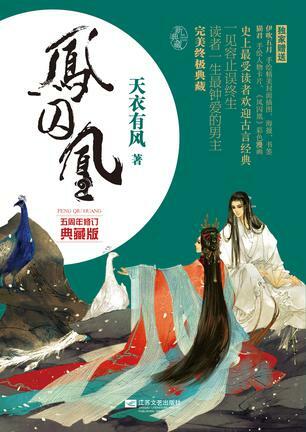 Still, the story is worth reading for some of the side characters alone, namely Wang Yizhi and Tian Rujing. Certain historical figures and events are also based off Chinese history, which to me is a plus for novels. There is a poetic, empathetic quality to the novel and some deep meanings about life, love, duty and living itself. Sadly I have to agree with Kimchi759 and Narutovlr. I think Kimchi759 said it all in their review, so there is not much left to say for me. What I can say is that in general the story outline is good, a smart female lead, an ancient setting and an reverse harem with various characters, but the harsh bashing of the former inhabitant of the body regarding her s*xuallity (/her striving for s*xual freedom) is distressing. The main is permanently judging others (behavior, morals, affinities whatsoever) and the men are kinda the... more>> same. This was a refreshing reincarnation story that hooked me from the very few chapters. The protagonist is interesting and has a calm personality that makes me like her, and the other characters are intriguing and makes me want to know more about them. The translation also reads very well, and is not awkward in their wording, as some translations tend to be. All in all, a good series. I am looking forward to how the story develops. I love the concept, characters, and execution. I have read a number of web novels, and this is permanently in my top three. I love how every character is dynamic, powerful, but not impervious. The FMC is intelligent and proactive, and does a decent job of competently navigating her new environment. In fact, this is the first isekai that I've ever actually liked. This is also one of the few times that I haven't been sure as to the MMC's angle, and I find that fascinating. The author does an excellent... more>> job of navigating her characters and her world while maintaining a beautiful but realistic overtone. I hope to see more of this, and huge thanks to the translator. You're looking for a progressive (politically) story. The author holds very traditional Chinese values and while she has no problem with standard harems, seems relatively repulsed by reverse harems. A bit of a missed opportunity in my opinion, but I digress. You're looking for an omnipotent anyone. The FMC doesn't crush anyone, and as powerful as the MMC is, the FMC still seems to keep him on his toes. Everyone is unlikable in their own way, which is honestly my favorite part. Imperfect characters are so important to me. You want a harem. For a harem story, there isn't much of a harem. That part was a bit sad, but I like everyone's interactions all the same. An interesting perspective on harem using the reverse genders. Though it's no best seller it's a pretty good read with a pretty unique concept and setting that I recommend. If I had not read raws it would have been high rated. Kimchi is on point. It is different spin and even has a few moments to chuckle. Since it is true time travel I guess in end chapter I have not reached she can't win. The male lead is horrific schemer that is WORSE than brother just less open and bloody. Brother is affected by status, era and the terrible childhood the original siblings survived through. The only lead pushed at us? Despite fact she knew he was poison all along...... more>> he CHOOSES the harm he does. has NO loyalties. Most the plot hiccups are not too jarring an can be overlooked until you get to around 140 chapters. Then the protagonist suddenly is struck by "useless heroine**" IQ. with her Darwin award death only held back by the hero halo.